Driven by a passion for tailoring precision engineering to scientific needs, Tobias Krebs (Managing Director since 1999), successfully grew the brand VITROCELL® into an independent company, which would exclusively concentrate on the developing, producing, installing, training and servicing of in vitro systems. 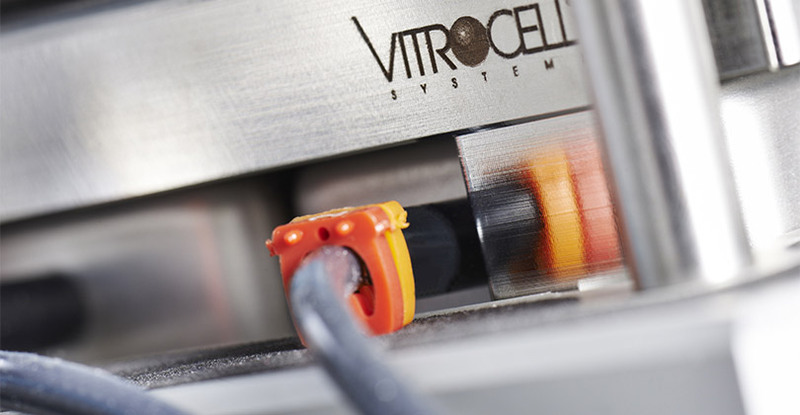 The VITROCELL® Systems’ team has been driven by this diligence and vision, setting new standards for in vitro technology through state-of-the-art technology, highly qualified workmanship and absolute client dedication. VITROCELL® has successfully collaborated with clients from leading research institutes, contract research organizations, regulatory authorities or industrial laboratories across the world. Working with our team experts, all modules have been tailored to create durable and complete turnkey-systems for in vitro inhalation toxicology. Gases, environmental atmospheres, nanoparticles and complex mixtures are analyzed on lung cells at the air/liquid interface using these systems. VITROCELL® technologies are also applicable to solutions for skin research. Over a decade of devotion to research in this specific field has given our team of design & precision manufacturing specialists the opportunity to mentor highly diversified and complex projects from conception to completion. We strive to become a constructive member of each research team, providing support when it is needed, advice when it is required and modules of the highest quality, which are even polished by hand before leaving here to be integrated into your workspace. Every piece of our German engineered equipment is manufactured to the highest of standards – yours.